Why don’t I own anything old? – HubNut – celebrating the average! Why don’t I own anything old? At the top of the page is a ClassicHub header, which the features the sidelight of a 1955 Austin A90 Westminster that I used to own back in 2010. 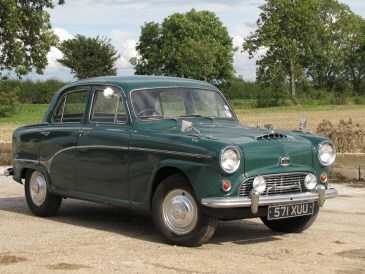 It was a wonderful car – same engine as an Austin-Healey 100/6 in similar tune, thanks to twin-SU carburettors. It had no problem hurtling up the A1(M) on my commute to Peterborough at the legal speed limit – I used to love commuting in a 52-year old car. Sure, it regarded bends the same way I regard telemarketers – with absolute disdain – but it was great to roar about in. It was with regret that I sold it to help fund our move to Wales. It was an extravagance that I could no longer afford. Not that it cost me a lot – it was very reliable needing nothing other than a service and some greasing. I paid £2200 for it, then sold it at action for £2050 just before we moved. That was a bit of a hasty panic as we’d bought the new house and needed to start moving vehicles over – one less would help a great deal! Since then, the oldest vehicle I’ve owned is a 1975 Reliant Scimitar GTE – a proper ‘wish list’ car that left me slightly disappointed overall. Generally, since the move, everything I’ve owned has been post-1986. Yes, I know the 2CV is a pretty ancient design, but mine is still ‘only’ 27 years old. It’s a very-eighties paint scheme. Why don’t I own any proper old vehicles? Cost is one reason. 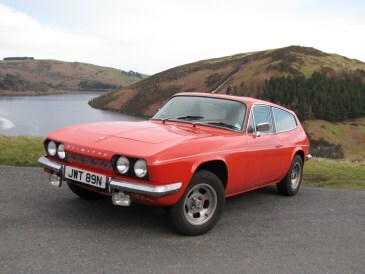 To get a decent example of a nice, older car – such as the Scimitar – I really need to spend c£2000. Another reason is that I’d rather dabble in the world of retro-era classics – those less than 30 but more than 20 years old. After all, these were the cars that were brand new when I grew up, and that’s always been a large part of the appeal of classic cars. People want to hark back to carefree days. Not that I’m against older classics – they also played a part in my childhood and I remain incredibly fond of 1960s and 1970s stuff. Cars of the 1980s have their advantages though. Generally, they’re well equipped and things work! There’s also fuel consumption. My Westminster could only dream of 27mpg at motorway speeds, but the much-faster Mercedes manages it with ease. Still, I feel like a bit of a fraud at times. People ask me what I do and I reply that I write about classic cars. The natural first question is what do you own then? People seem a bit disappointed with Citroen BX, Land Rover Discovery and Mercedes-Benz W124 “the one from the eighties.” It isn’t that they aren’t good cars, they’re just not chrome-laden, classic-era icons that people can easily recall. I’d like to do something about that, but it isn’t easy. The BX does many, many things very well and I’m struggling to think of one older car that can match it. Have a go yourself – it must do 50mpg, have a half-ton payload but also be able to carry five passengers in comfort. It must be able to tow a trailer and hurtle along motorways at decent speeds without causing your ears to bleed (the biggest problem with the 2CV).